Chinese smartphone vendor Xiaomi says an apparent £1 smartphone offer was meant as a raffle, blaming marketing message lost in translation. At its launch event in London, Xiaomi announced that for a limited period, users would be able to buy Mi A2 and Mi 8 Lite, both launched earlier this year, for only £1 from its web-shop. When the time came however, social media was flooded by complaints from frustrated hopefuls who have failed to scoop the jackpot. Some users decided to take the matter into their own hands. 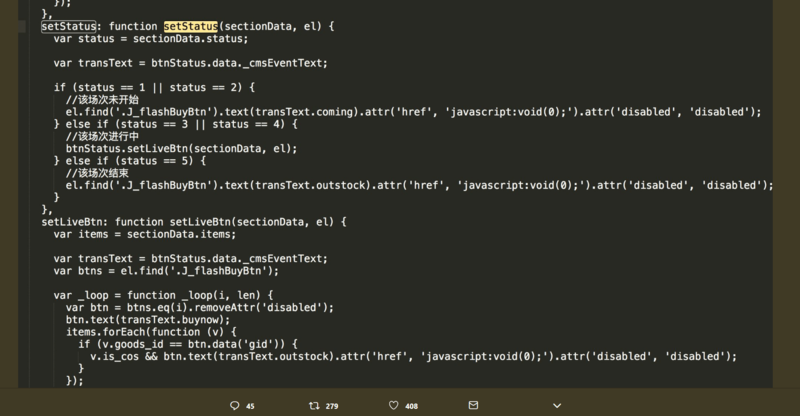 Phil Williams from Stockport managed to dig out the browser script as well as checked the online shopping platform’s developer page, and shared his findings on Twitter. It turned out that the script was written in the way that as soon as a user clicked “Buy Now”, the browser would return an “out of stock” message, without going through the loop to check the inventory status. Xiaomi’s official response came in three days later, claiming that it was a lost-in-translation blunder. The so-called “flash sale” in essence was a raffle draw, and only ten smartphones (five pieces of each model) were made available for the lucky ones across three days. Xiaomi explained that “Of the thousands who clicked ‘buy’ simultaneously, our system will randomly select the winners”. However on the Terms & Conditions page linked to the promotion, it was spelled out clearly under “£1 Flash Sale” that “Products available under this sale are limited in quantity and are given away on first-come, first-serve basis.”. Xiaomi has not responded to Telecoms.com’s request for clarification of the contradiction. There are potentially two issues surrounding this case. At the launch event we never heard any mention of lucky draw type of “flash sale”. Rather the message given was very similar to a “Black Friday”-type of “deal”. The misleading promotion message could fall foul of the Advertising Standards Agency. A more serious issue relates to GDPR. All those entering the raffle needed to log in with their Mi account. This would mean that Xiaomi should not keep their data more than the raffle period if the accounts were created specifically for this purpose. It would be interesting to see if this rule is being followed.